Lemax The Elf Workshop Lighted Building depicts the illuminated snow covered cottage where the elves as expert toy makers are busy preparing Christmas orders! 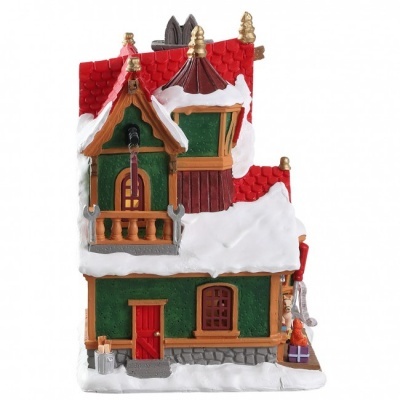 Delightful miniature building with internally viewable windows as the elves can be seen busy toy making inside. Provides a wonderful LED lit table piece suitable for placement within a Santa's Wonderland themed Lemax village display. 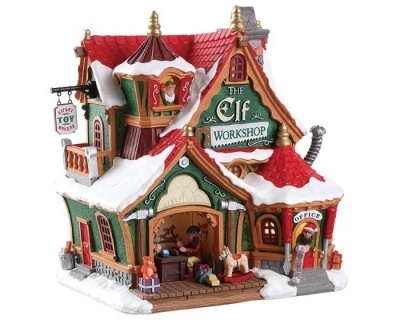 The Elf Workshop joined the popular Lemax Santa's Wonderland miniatures collection in 2018. 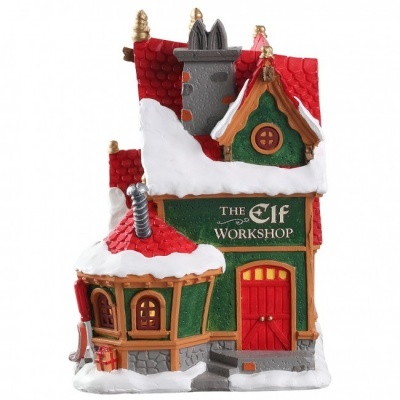 The Elf Workshop is a single porcelain hand painted miniature building that would be a welcomed addition to your Christmas village display.